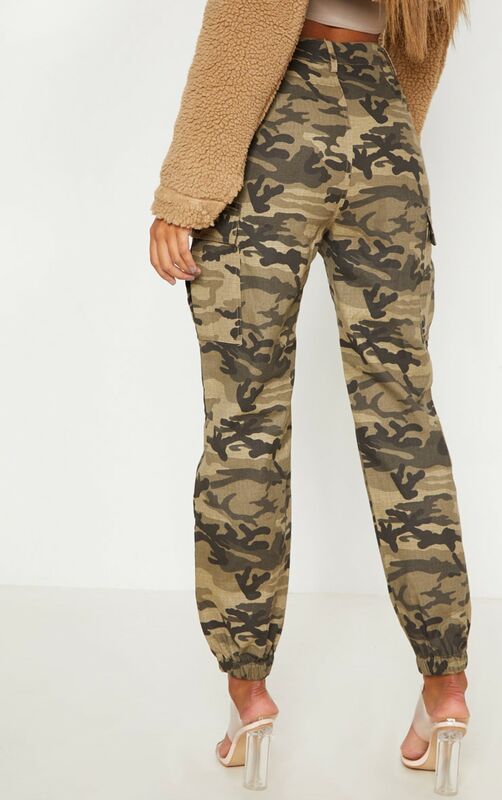 Cargo trousers are everything we are loving this season. 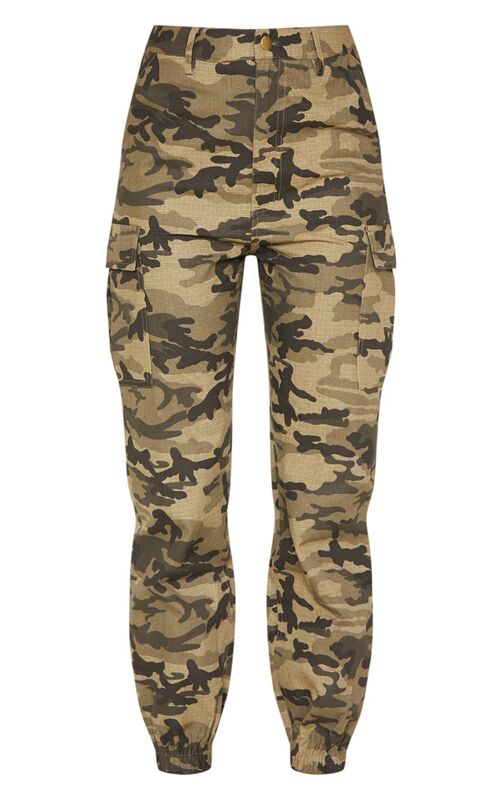 Featuring a khaki camo print design material with elasticated cuffs and a pocket detailing. 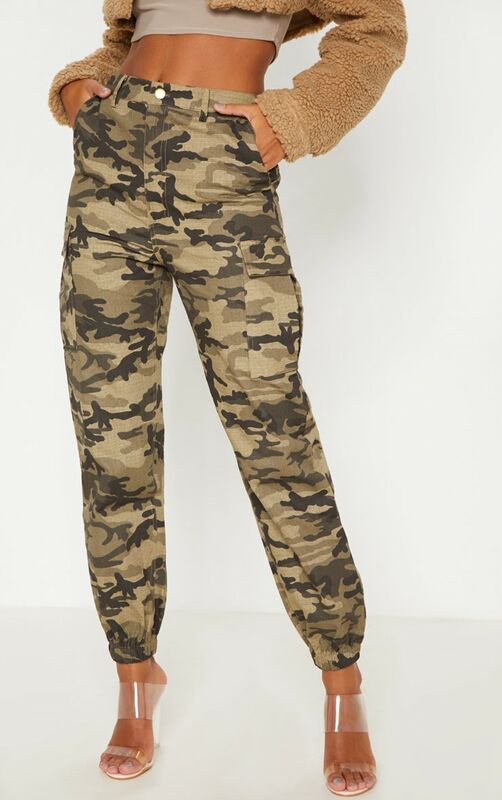 Team these with a crop top and barely-there heels for a day to night look.